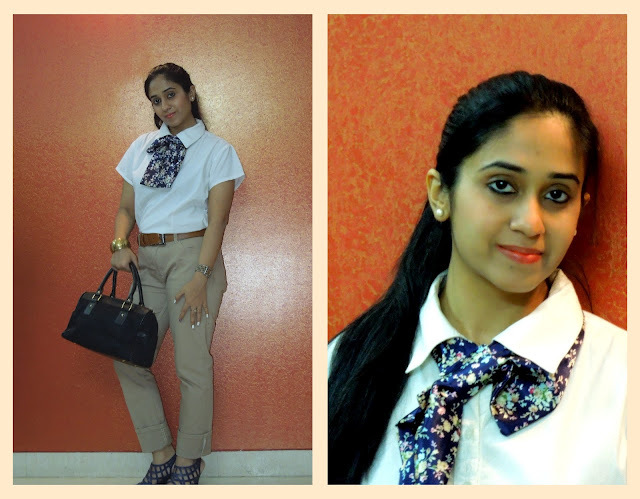 Now to the outfit- Just got ready for a formal exhibition and wanted to get clicked ! So delightfully handed over the camera to my daughter BUT was not really disappointed with the result..Except a few dark and hazy pictures she managed to do a good job(and even taught me some Bollywood style posing). Khaki is my all-time favorite;And who says that only men carry khaki's well?It can be the smartest style investment even for Women! White blends well with Khaki,even light blue and light pinks are a good option. Pearl earrings, and a high pony was my idea to imitate corporate style dressing. 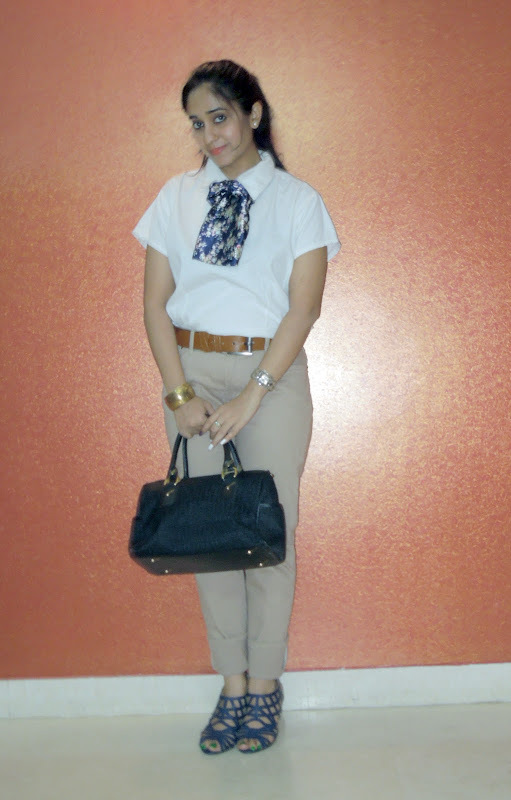 Wearing: Shirt- Wills Lifestyle, Scarf- Westside, Khaki Pants- Tailored, Belt- Fastrack, Bag- Fendi, Bangle- Aldo,Blue Gladiators- Venus Steps,(worn Here)Lipcolor- Chambor- Orange plus(my recent buy).